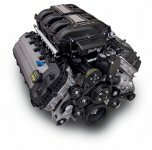 E-Force 2011 5.0L Ford Mustang GT Supercharger Kit  : Supercharger Superstore, Your Online Source for Vortech Superchargers, Paxton Superchargers, Procharger Superchargers, Magnacharger Superchargers and Techco Superchargers! 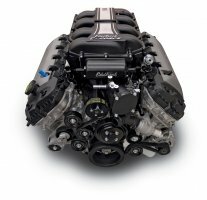 One of Ford's most legendary engines... the 5.0L is back! This supercharger system is exclusively designed by Edelbrock to provide instant, reliable and safe HP for a stock Mustang 5.0L with low boost for minimum engine stress. It features minimum air restriction in and out of the supercharger, along with individual 15" long intake runners that allow for maximum low end torque for great performance. Edelbrock superchargers provide the most power at the lowest amount of boost, resulting in performance that is safe to operate on a completely stock engine. This system will be available with a supplemental 5 -year 60,000 mile warranty to give you piece of mind when installing it on your new Mustang.